Fika Java roasts coffee beans in medium, dark, and espresso varieties, and the new Stuttgarden coffee bar menu exclusively features Fika Java’s specialty drinks. These include: hand-crafted artisan lattes with sugar-alternative sweeteners, natural flavors, and many options of milks and milk alternatives. Favorites among Fika's customers have included the peanut butter and vanilla bean lattes. Fika's Regular and Nitro Cold Brew coffee are also on the menu. A variety of muffins, breakfast sandwiches and breakfast tacos will also be served each day until 2:00 pm. The coffee beans from Fika are roasted with meticulous care, to create the perfect roast and bring out the full flavors of the beans. This attention to detail sets Fika apart, with a noticeable difference found in the bold yet smooth flavor in each cup. The goal is to veer away from the culture of other mainstream coffee shops, to offer a distinct difference in quality... and fresh is always BEST! Coffee and community go hand in hand, and Stuttgarden's goal in opening the coffee haus is to provide a convenient location for locals and tourists alike to come together to eat, drink, and enjoy our beautiful island. Fika Java takes the name Fika to heart, as the word Fika means: "to take a break from the day and enjoy a good cup of coffee, a conversation." 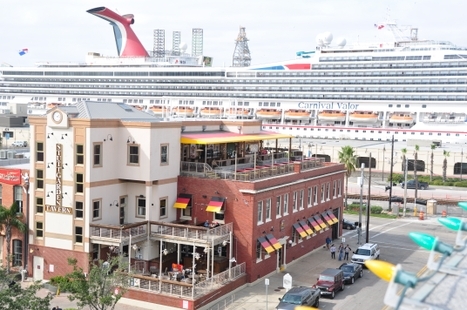 The concept of Stuttgarden and Fika combining their efforts is to create a hub where the Galveston community can come together for a unique, local coffee and dining experience.